Here is the list of the hotels near Giberville. Book your hotel near Giberville today, Tuesday 14 May for the best price, reservation and cancellation free of charge thanks to our partner Booking.com, leader in on-line hotels reservation. Below here is the list the 50 closest hotels of Giberville, sortable according your criteria. You will find the position of these accommodations on the Giberville hotels map. Hotel Caen Preferred hotel ! Hotel Libera Caen Colombelles is located in Colombelles, just 6 km from the centre of Caen. It provides free WiFi access and free parking. There is also a restaurant open from Monday to Friday. Each room features air conditioning, a balcony and a HD TV with satellite channels. The private bathroom comes with a shower. At Hotel Libera Caen Colombelles you will find a 24-hour front desk, a terrace and a bar. Other facilities offered at the property include a shared lounge and luggage storage. The hotel is 5.9 km from Caen Golf. Ouistreham Ferry Port is 18.5 km away. Hotel Mondeville Preferred hotel ! Mondeville is a charming little city situated in a modern suburban area and not far from Caen, where you can enjoy the amazing historical heritage of the area. The hotel Campanile Mondeville offers all the necessary comfort so as to make your stay as pleasant as possible. It benefits from an ideal location in order to discover the beautiful landscapes along the canal of Caen and many historical sites. The hotel’s managers and staff are dedicated to making your stay both enjoyable and memorable and ensuring your room is equipped with all necessary facilities for leisure or work. Located a 10-minute drive from the city centre and a 15-minute drive from the beach, this Première Classe hotel offers low-cost guest rooms with air conditioning and a TV. Free Wi-Fi is provided throughout the hotel. The rooms for 1, 2 or 3 people are all equipped with a telephone and a private bathroom with a shower. A buffet breakfast is prepared every morning at this hotel, and it is available from 06:30. Free private parking is possible on site and Caen Golf Club is only 10 km away. ibis budget Caen Mondeville is located in Mondeville, a 20-minute drive from the D-Day Beaches. The 24-hour reception hotel offers free Wi-Fi access. Each room here will provide you with a TV and satellite channels. The private bathroom comes with a shower. A buffet breakfast is available daily. Vending machines with drinks and snacks are also available on site. The hotel is a 15-minute drive to the centre of the city. The city of Bayeux and its tapestries is 35km away. B Hotel Caen Mondeville is located in the east of Caen, a 10-minute drive from the town centre and Caen Train Station. It provides en suite accommodation with free WiFi and free parking. The A13 motorway, which leads directly to Paris, is a few minutes' drive away. All rooms features a flat-screen TV with Canal+ and international channels and a private bathroom with a shower. There are also rooms which are adapted to guests with reduced mobility. A hairdryer and electric kettle are available upon request, as well as a mini fridge and microwave. Breakfast is served daily and can be enjoyed on-site or as a takeaway. Half-board options are available at an extra cost. Guests have access to a number of activities in the area including fishing, golfing and canoeing. Sights such as the Caen Memorial, William the Conqueror's Castle and the landing beaches are all within a 20-minute drive of the hotel. The ibis Herouville is located in Caen, 15 km from Caen Carpiquet airport and 5 km from the Parc des Expositions. It offers free Wi-Fi, free parking and 24-hour snack service. The double and triple-sized rooms are en suite and have satellite and cable TV. Hairdryers are available at reception. A buffet breakfast composed of sweet and savoury dishes such as eggs, fruit salad, yogurts and juices is served every day. Pastries baked on site and fresh French Madeleine cakes are also on offer, as well as a hot beverage and a piece of fruit to take away. Outside of regular breakfast hours guests can also enjoy a lighter option, available from 04:00. Nightly dinner service is available. Le Mathilde serves regional cuisine 7 days a week and the bar is open 24-hours a day. With free Wi-Fi and free private parking, this Ibis hotel is located 6 km from Caen city centre and 14 km from the Ouestriham Beach. An LCD TV and free toiletries are provided in all of the rooms. The buffet breakfast includes cheese, yoghurt, fruit salad, croissant, fruit juice, hot drinks and bread. Guests are invited to relax on the terrace, which has tables and chairs. Caen memorial is 8 km away while the A13 motorway is a 10-minute drive from this Ibis hotel. Hotel Hérouville-Saint-Clair Preferred hotel ! Situated a 15-minute drive from the centre of Caen, this hotel is located in Hérouville-Saint-Clair. It offers free high-speed Wi-Fi and guests are invited to relax on the terrace or in the garden. The guest rooms at Campanile Caen Nord - Hérouville-Saint-Clair are equipped with cable TV and facilities for making hot drinks. Each room also includes a private bathroom with a bath or a shower. Lunch and dinner can be enjoyed in the hotel's on-site restaurant, and breakfast is served every morning in the breakfast area. Free parking is available on site and Caen Train Station is 4 km away. The hotel is 8 km from the A13 motorway and 14 km from the beach Ouistreham and the English Channel. Located opposite the Caen SNCF Train Station, La Consigne is just 1.5 km from the city centre. It offers en-suite rooms with free Wi-Fi access, a flat-screen TV and satellite channels. A continental breakfast is served daily in the Consigne’s brasserie. The hotel also provides a snack bar with an outdoor terrace. The Consigne Hotel is serviced by the local tramway and buses. It is a 5-minute drive from the Abbaye-aux-Dames and the Fine Arts Museum. There is a shopping centre 300 metres away with cinemas, restaurants and shops. Set opposite Caen Train Station, the ibis Budget Caen Gare offers guest rooms with free Wi-Fi, just 5 km from the Château de Caen. It has a 24-hour reception. These modern rooms are equipped with a flat-screen TV, soundproofing and a desk. Each has a private bathroom that is fitted with a shower, and all rooms are serviced by a lift. A buffet breakfast is prepared every morning at this hotel, and you can enjoy breakfast in the dining room while reading the newspapers provided. Restaurants can be found near the property. This hotel is 10 km from Caen Golf Club and 18 km from Ouistreham Beach. You can also visit the Abbaye aux Dames and the Abbaye-aux-Hommes, both within 5 km. Caen Carpiquet Airport is 23.5 km from the property. Located in the city centre, on the edge of Orne River and 500 metres away from Caen Train Station, ibis Styles Caen Centre Gare offers a bar open 24-hour and air-conditioned room with a flat-screen TV and free WiFi access. The heated rooms at ibis Styles Caen Centre Gare also include a telephone. The private bathroom is fitted with a bathtub or a shower and a hairdryer. A buffet breakfast is served every morning and includes freshly squeezed orange juice, ham, cheese and multi-grain bread. Bars and restaurants can be found within walking distance. Guests can also buy snacks at the hotel's bar. Other facilities are included in the hotel such as a fitness centre, a safety deposit box at reception and a fax machine. Guest can also use the shoe shine machine on site. It is situated a 10-minute drive from Abbaye aux Hommes and from Memorial de la Paix. There is a public car park on site. Guest accommodation Caen Preferred hotel ! This residence is just 300 metres from the 11th-century Abbaye aux Dames and 1.2 km from the E46 ring road. It offers self-catering studios and apartments with free Wi-Fi access. The stylish accommodations have a flat-screen TV. Each has a kitchenette with electric hot-plates, a microwave and a fridge. A weekly housekeeping service is also provided at the residence. A buffet breakfast is available daily. Other hotel services include parking, dry cleaning and a guest laundry. The WWII landing beaches are 40 km from Le Clos Beaumois. William the Conqueror’s castle is a 15-minute walk away. Situated close to Caen Train Station and historic centre, Inter-Hotel Caen De France is also next to the Orne quay and the port. The hotel Inter-Hotel Caen De France has been entirely renovated and is fully air conditioned. It offers the perfect location from which to discover Caen and the surrounding area. The hotel is 18 km from the ferry ports to England, the beaches and seaside towns. Free public parking is possible on site. Pleasantly situated facing the marina, 5 minutes from the city centre and pedestrian area, this Mercure hotel offers contemporary and elegant accommodation. Guests can use the on site fitness centre, free of charge. The modern and stylish guestrooms at the Mercure Caen Centre Port De Plaisance are all equipped with en suite facilities including Italian showers. Some rooms feature a view of the marina. Buses and trams are just 3 minutes away from the Mercure Caen Centre Port De Plaisance, and the hotel is 30 minutes from the D-day Landing Beaches. Charging stations for electric cars are available at this property. La Company Des Concierges: Le Mathilde in Caen features accommodation with free WiFi, 1.4 km from Botanical Garden of Caen. 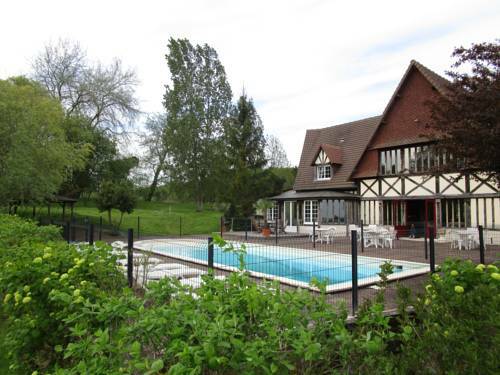 The property is 2.6 km from Racecourse of Caen and 4.3 km from Ornano Stadium. The property includes a living room with a flat-screen TV. The accommodation is equipped with a kitchenette with an oven and a microwave. Memorial of Caen is 5 km from the apartment, while Caen University is 800 metres away. Deauville – Normandie Airport is 43 km from the property. Aparthotel Adagio Caen Centre is located in the centre of Caen, on the banks of the River Orne. It offers a fitness centre and air-conditioned apartments with a modern décor and a lounge. Free WiFi is available throughout. Apartments at the Adagio Caen Centre are equipped with a flat-screen TV. They each have a fully equipped kitchen equipped with a fridge and microwave. The Caen Centre Adagio residence provides a 24-hour reception and a laundry service. Private parking is available on site, and the Caen SNCF train station is just a 5-minute walk away. Parking is available at a reduced rate for stays of 7 nights or more. Set in Ranville, La Grimodière Gîte provides accommodation with a private pool and free WiFi. This apartment has a garden. The apartment includes 2 bedrooms, 1 bathroom with a bath, a seating area, and a kitchen with a dishwasher. A flat-screen TV is offered. La Grimodière Gîte offers a seasonal outdoor pool. Guests at the property can enjoy table tennis on site, or go cycling or hiking in the surroundings. Deauville is 37 km from the accommodation, while Caen is 12 km from the property. The nearest airport is Deauville – Normandie Airport, 33 km from the property. Located only 800 metres from Caen train station, the comfortable rooms at the Hotel The Originals Caen Le Savoy (ex Inter-Hotel) feature flat-screen TV with Canal+ satellite channels, free Wi-Fi and a courtesy tray. The Hotel The Originals Caen Le Savoy (ex Inter-Hotel) offers quality services to ensure that your stay runs smoothly, whether it is a business or leisure trip. Different types of rooms are available, including family rooms. The restaurant is open from Monday to Friday and serves delicious French cuisine. With direct access to the motorway, the Hotel The Originals Caen Le Savoy (ex Inter-Hotel) is ideally placed for discovering Normandy. The friendly and attentive staff at the Hotel The Originals Caen Le Savoy (ex Inter-Hotel) will be happy to help you organise your stay in Caen 24 hours a day. Featuring free WiFi and a seasonal outdoor pool, La Grimodière offers accommodation in Ranville. Free private parking is available on site. Each room is equipped with a flat-screen TV. Some units include a seating area for your convenience. Views of the lake, pool or garden are featured in certain rooms. Every room is equipped with a private bathroom. You will find a shared lounge and a shared kitchen area at the property. You can play table tennis at the bed and breakfast. Deauville is 28 km from La Grimodière, while Honfleur is 42 km from the property. El vigot plaza is located in Caen, 2 km from the Historic Centre and 6 km from Mémorial of Caen. The seafront is 18 km away. This independent room is fitted with a flat-screen TV. You will find a coffee machine in the room. For your comfort, you will find free toiletries and a hairdryer in your private bathroom. It provides views of the garden. El vigot plaza features free WiFi throughout the property. Botanical Garden of Caen is 2.7 km from el vigot plaza, while Ornano Stadium is 3.5 km away. Deauville – Normandie Airport is 33 km from the property. 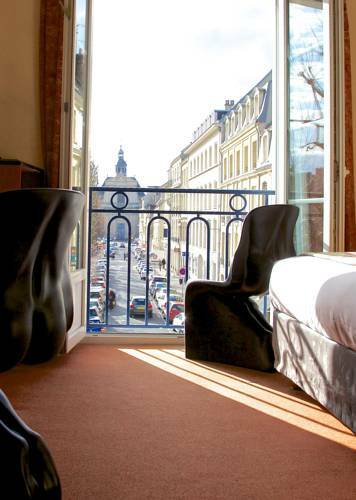 Hotel De l’Univers is located in Caen City Centre, 200 metres from the Church of Saint-Pierre. It offers low-cost accommodation with free Wi-Fi and views of the Port de Plaisance. Guests of the Univers can enjoy a daily breakfast buffet. Hotel De L’Univers is 15 kilometres from Ouistreham Port, which offers a ferry service to Portsmouth. Located in the centre of Caen, in a quiet street, this family-run hotel is a few walk away from the marina. A wide range of shops and restaurants can be found in the surrounding area. Rooms are all non-smoking and they are provided with a private bathroom and free WiFi. Hotel Du Havre is just 100 metres from the Resistance tramway. Hotel du Havre is halfway between the train station and William the Conqueror castle. Le Bristol is located in the centre of Caen, near the train station. Its guestrooms have flat-screen TV s with cable and satellite channels and free Wi-Fi. All of the rooms are serviced by a lift and are equipped with a private bathroom. A full daily buffet breakfast is served daily in the breakfast room. The hotel also has a private bar, reserved exclusively for hotel guests. Le Bristol is also in close proximity to the Hippodrome and the congress centre. The hotel is a short walk from the Gare de Caen and bus services, making it easy to discover the Normandy region. Set in Caen, 1.1 km from Racecourse of Caen, Luckey Homes - Rue du Havre provides a living room with a flat-screen TV. The property is 1.6 km from Botanical Garden of Caen. The apartment includes a kitchen with an oven and a microwave, as well as a coffee machine. Ornano Stadium is 4 km from the apartment, while Memorial of Caen is 5 km from the property. The nearest airport is Deauville – Normandie Airport, 42 km from Luckey Homes - Rue du Havre. Apartment Caen Preferred hotel ! Situated in Caen, near Botanical Garden of Caen and Caen University, Saint Pères-Sleep in Normandie features free WiFi. The units have a fully equipped kitchen with a microwave and a toaster. A fridge and stovetop are also offered, as well as a coffee machine and a kettle. Racecourse of Caen is 2.8 km from the apartment, while Ornano Stadium is 5 km from the property. The nearest airport is Deauville – Normandie Airport, 43 km from the property. Hotel de la Paix is located in central Caen, only 200 metres from the Château Ducal. Free WiFi access is available throughout the hotel and a continental breakfast is prepared each morning. Each room here will provide you with a flat-screen TV, a telephone and a desk. All of the rooms are non-smoking and have a private bathroom complete with a shower and free toiletries. A hairdryer and iron facilities can be requested at the reception. The hotel is 1 km from Racecourse of Caen, 1 km from Caen Train Station and 1 km from the Botanical Gardens. Parking facilities are available within 100 metres of the property. Hotel Du Chateau is located in the heart of Caen, 280 metres from Caen Castle and 2.8 km from the Mémorial de Caen Museum. This hotel offers en suite rooms with a satellite, LCD TV and free WiFi access is available. Featuring a hairdryer, private bathrooms also come with free toiletries. They are fitted with a bath or a shower. A continental breakfast is available daily. Other facilities offered include luggage storage. The hotel is 700 metres from Abbaye aux Dames, 500 metres from Musee des Beaux-Arts de Caen and 1.2 km from Abbaye aux Hommes. Located in the heart of Caen, Hotel Bernières is a 5-minute drive from Caen Train Station and offers rooms with free Wi-Fi. Guest rooms are simply decorated and equipped with a TV. They each have an en suite bathroom with either a bathtub or shower. In the morning, you can savour breakfast in the breakfast room at Hotel Bernières. Caen University is a 10-minute walk from this hotel and the D-day landing beaches are a 20-minute drive away. Hotel Touffréville Preferred hotel ! This hotel is located inland the Lower-Normandy region, 15 km from Cabourg and the D-Day beaches. It has an outdoor swimming pool with terrace open from Autumn 2018, and soundproofed rooms with free WiFi. All of the rooms at La Grande Bruyere are equipped with flat-screen TV and a work desk. They also have carpeted floors and a telephone. A varied buffet breakfast is provided every morning. The hotel La Grande Bruyere’s restaurant serves gastronomic cuisine and regional specialities. Guests can enjoy their meals in the dining room, overlooking the hotel’s garden. The hotel also has playground for children. La Grande Bruyere is ideally located to explore the region. Caen is just 16 km away, and the sea is a 10-minute drive. The hotel is easily accessible via the A13 Normandy motorway, and free private parking is available on site. Royal Hôtel Caen Centre is located in the heart of Caen and offers accommodations with free Wi-Fi. With a 24-hour reception, it is just 700 metres from Caen Castle and it is serviced by a lift. All of the air-conditioned rooms at Royal Hôtel Caen Centre feature a flat-screen TV with satellite channels, a desk and a private bathroom. A buffet breakfast is served every morning in the communal lounge. Guests can relax with a drink from the bar. Caen Train Station is a 10-minute drive away. The Novotel Caen Côte de Nacre is located 20 minutes from the beaches of the Allied Landings, near the Peace Memorial. It offers a heated outdoor swimming pool, a terrace and a garden. Each guest room at the Novotel has satellite TV and free Wi-Fi internet access. At the Caen Côte de Nacre's restaurant, the Gourmet Bar, guests can enjoy traditional cuisine. Additional facilities include a children's playground and free private parking. Hotel Ifs Preferred hotel ! The Kyriad Caen hotel is the best place to stay if you are looking for quality and charm. Go off and explore the historic and gastronomic Calvados region. We are happy to welcome you in our pleasant hotel situated a few steps away from the Suisse Normande and the Normandy landings beaches. All our rooms are en-suite with bath towels and scented shower gel. Each of them is comfortably equipped with a warm and modern style. The racecourse and the sailing resort located in the heart of city as well as numerous museums and floral parks make a visit to Caen unforgettable. This 4-star hotel is set in a former priory, located in the centre of Caen. It features a spa with a Finnish sauna, a hammam and there is a gourmet restaurant. Free WiFi access, a minibar and a flat-screen TV are provided in the guest rooms and suites at the Hotel Restaurant Le Dauphin et Le Spa du Prieuré. Specialities from the Normandy region, accompanied by fine wines, are served in the hotel restaurant. Additional facilities at this hotel include massages and beauty treatments. Bathrobes, slippers and a bottle of water are provided in the spa, which is available at a surcharge and upon reservation. Caen Carpiquet Airport is only 6.3 km away and the ferry port is just a 20-minute drive. You can visit the nearby Château de Caen. Located in Caen, this apartment is set in a 18th-century house, 700 metres from Racecourse of Caen. The apartment is 1 km from Botanical Garden of Caen. Free WiFi is provided . A dishwasher, an oven and a microwave can be found in the kitchen. A flat-screen TV with cable channels is offered. Shops and historic monuments can be found in the nearby area. Memorial of Caen is 2.3 km from Villa Republique Normandie, while Ornano Stadium is 2.3 km from the property. Offering self-catering accommodation, Pauséôme Apparthotel is located in Caen, just next to University Hospital of Caen and 3 km from Caen city centre. Free Wi-Fi access is available. Each studio apartment comes with an equipped kitchenette with microwave and fridge. The private bathroom comes with a shower and free toiletries. All studios at Pauséôme Apparthotel include a flat-screen TV. Towels and bed linen are provided. Guests may sample items from the breakfast buffet in the breakfast room, at an additional cost. Other facilities like a snack bar, a shared lounge, luggage storage and a vending machine are available at Pauséôme Apparthotel. The property offers free private parking in a nearby location. Caen city centre can be reached within 15 minute by public transport. The D-Day landing beaches are a 20-minute drive from Pauséôme Apparthotel. Centre historique is situated in Caen, 1.2 km from Racecourse of Caen, 1.6 km from Botanical Garden of Caen, and 3.7 km from Ornano Stadium. This apartment is 5 km from Memorial of Caen and 1.4 km from Church of St. Pierre Caen. The apartment has 2 bedrooms, a flat-screen TV and a fully equipped kitchen that provides guests with a microwave and a toaster. Private parking is available at the apartment. Caen University is 2 km from Centre historique. Deauville – Normandie Airport is 43 km away. Located in the centre of Caen, ibis Styles Caen Centre Paul Doumer is a 6-minute walk from the Abbaye-aux-Hommes. It offers rooms serviced by a lift, a 24-hour front desk and free Wi-Fi access. All the soundproofed rooms feature a desk, a flat-screen TV and a private bathroom with a shower and free toiletries. Some rooms are suitable for guests with reduced mobility. A buffet breakfast can be enjoyed every morning at ibis Styles Caen Centre Paul Doumer. A large range of restaurants and cafés can be found in the area. This hotel is a 10-minute walk from the Museum of Fine Arts and a 14-minute walk from the Caen Canal. The Church of Saint-Pierre is 500 metres away. Set in Caen, 1.3 km from Racecourse of Caen, Le Saint-Pierre provides a living room with a flat-screen TV. It is located in a building dating from 18th century, 1.6 km from Botanical Garden of Caen. The apartment includes a kitchen with a microwave and a toaster, as well as a coffee machine. Ornano Stadium is 3.7 km from the apartment, while Memorial of Caen is 5 km away. The nearest airport is Deauville – Normandie Airport, 43 km from Le Saint-Pierre. Situated in the centre of Caen, Smartappart Caen is 400 metres from Racecourse of Caen. Botanical Garden of Caen is 1.3 km away. All units have a flat-screen TV. There is a seating and/or dining area in some units. There is also a kitchen, equipped with a microwave, toaster and refrigerator. A stovetop is also available, as well as a coffee machine and a kettle. Each unit has a private bathroom with a shower. Smartappart Caen also includes a terrace. Ornano Stadium is 2.2 km from Smartappart Caen. Caen Exhibition Centre is 500 metres far from the property. A public secure car park is available 200 metres from the property. Discounted prices are available and reservation is not possible. Within a stone's throw of Ifs, discover a new type of budget accommodation where comfort and modernity combine. Free high-speed WiFi can be enjoyed in every room. My Hotel boasts 61 fully equipped rooms for 1 to 4 people. Set off to a good start every morning with fresh croissants served at a very competitive price. Located close to the A13 and A84 motorways, My Hotel is accessible 24 hours thanks to an automatic check-in system, making it the ideal place for a quick stopover on your way to a business meeting. The hotel Mercure Caen Hérouville is situated next to the Côte de Nacre and is 10 km from the beach. It is just 300 metres from the ring road, a 5-minute drive from Caen city center and a tram station is situated opposite the hotel. All rooms are air-conditioned and feature a flat-screen TV with satellite channels. They are complete with an en suite bathroom. Breakfast is available every morning at Mercure Caen Cote de Nacre and French cuisine is served in the on-site Le Normand Restaurant. Guests can also enjoy a drink in Le Calix bar. Additional features include free Wi-Fi access throughout the hotel and there are 9 meeting rooms. Free public parking is possible on site. Below here is the hotels map of Giberville. Names and details of Giberville hotels can be shown on the map clicking on the prices icons.